After an enthralling but exhausting two days in Angkor we travelled for the final leg of our trip to the bustling city of Singapore. The three things I like most about this city-state are the weather (hot and humid), the food (varied and punchy) and the way it blends old and new. The culture in Singapore is one of eating out far more than we do in Europe. Because food is both high-quality and reasonably priced it seems affordable to eat out three meals a day on an average salary. The city’s three main ethnic groups are Malay, Chinese and Indian, which shows in the selection of meals I photographed, below. Clockwise from top-left: Indian biriyani at Lau Pa Sat food court; Cantonese cuisine at Bugis hawker centre; Malay laksa at Ion Orchard Food Opera; Taiwanese hot & sour soup at Din Tai Fung Chinatown Point; kaya toast & runny eggs at Toast Box on Bencoolen St; xiaolongbao dumplings at Din Tai Fung in the Manulife Centre. The obvious outlier there is the breakfast – the Singaporean penchant for toast, tea and eggs is surely a legacy of their time in the British Empire, and I have to say I loved their twist on it. The eggs are barely cooked but it works, the toast is spread with sweet kaya jam made from coconuts and the tea & coffee is sweet and airy. 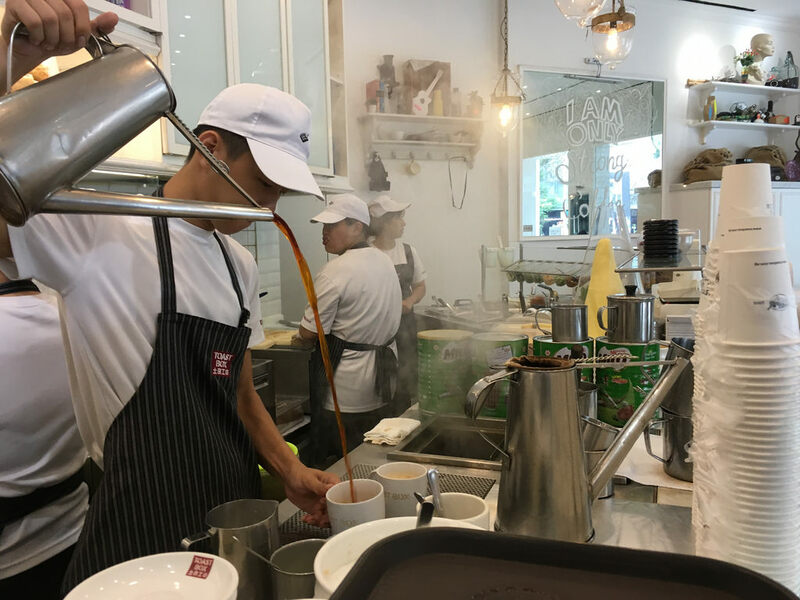 The servers in this chain, Toast Box, pour the hot drinks theatrically from height in order to get as much air into them as possible. Singapore is a high income, high tech country that serves as a centre for shipping, aviation and finance due in large part to its strategic location at the end of the Malay Peninsular and the mouth of the Strait of Malacca. 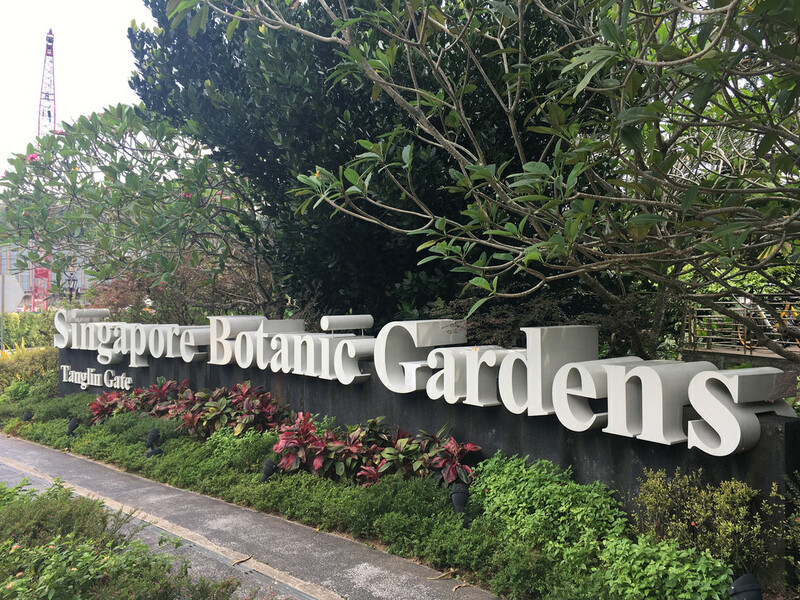 But in the heart of this metropolis lies the tranquil oasis of the Botanic Gardens, comprising Singapore’s sole World Heritage Site. 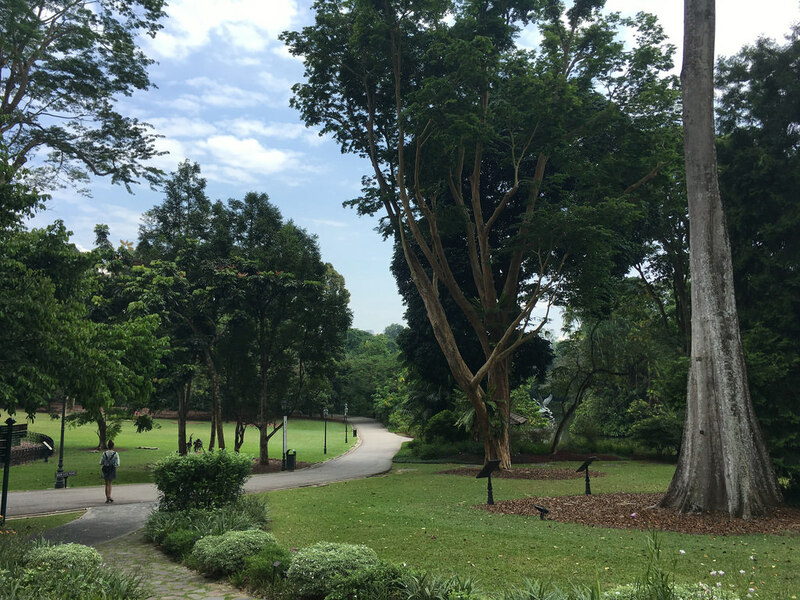 The gardens were created in 1859 initially as more of a ‘pleasure garden’, but soon became scientifically and economically significant as it came to function as a botanical research hub in Asia. Explorers scoured the breadth of the empire and brought back with them intriguing new plants. These were sent first to Kew, with the tropical varieties going onward to Singapore. Kew Gardens is our local World Heritage Site and was the parent organisation in Britain’s international network of research gardens. One of the most important plants in Singapore’s history is the rubber tree. In 1876 Henry Wickham arrived in Kew with a shipment of rubber tree seeds from Brazil. 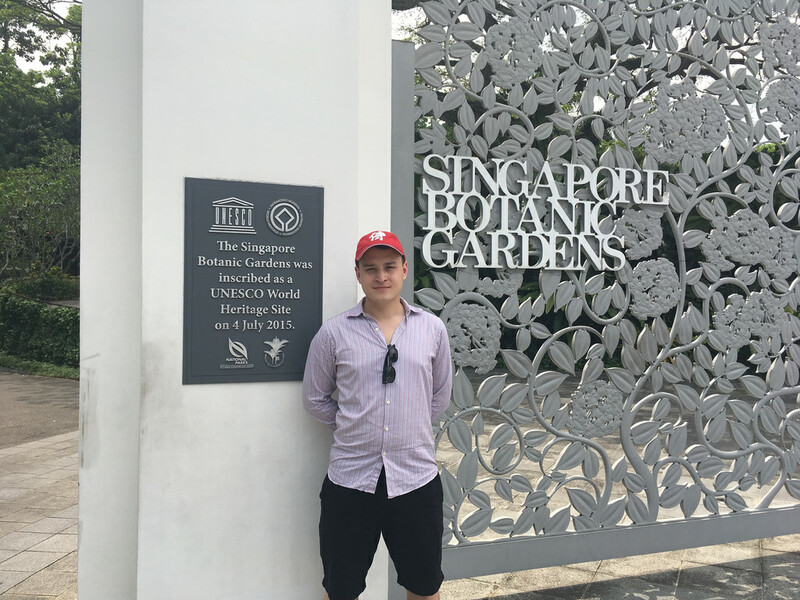 Some germinated in England, but others were sent on to Singapore where the gardens’ scientific director H N Ridley was determined to make rubber commercially viable. In this he was fantastically successful, overseeing mass planting in the Malay Peninsula and coming up with a novel way of tapping rubber that would not kill the tree. 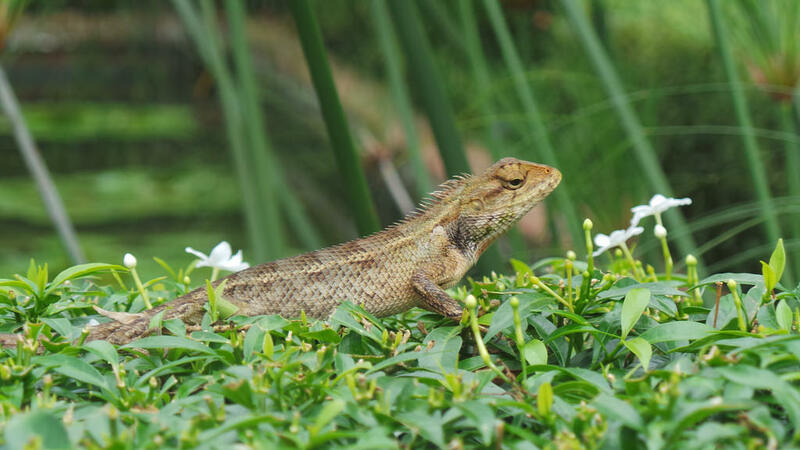 The gardens are full of wildlife, including the lizards Natalie photographed (very well, in my view!). 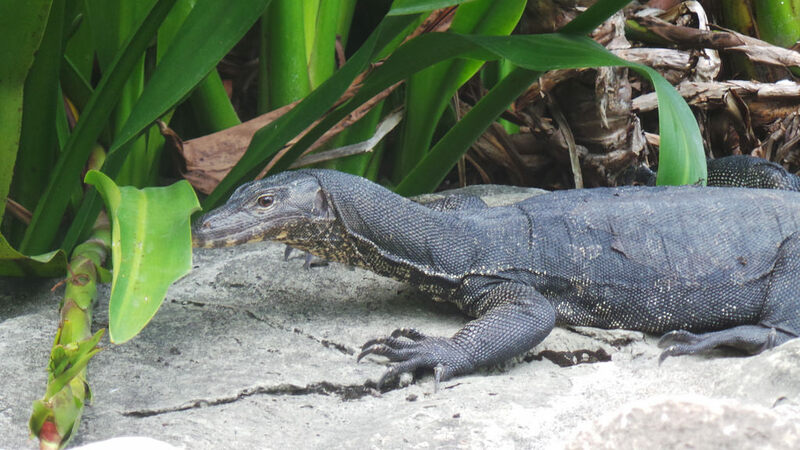 The monitor lizard, below, came as a bit of a surprise to us – they can grow up to 6 feet in length. This trip was actually my second (and third) time in Singapore Botanical Gardens because I had first visited in December 2009 with my family. I had not ‘discovered’ the joys of World Heritage Sites back then – and besides, it wasn’t actually inscribed until 2015. It doesn’t look like Singapore will be getting another WHS any time soon, but it will remain one of my favourite cities to visit thanks to its friendliness, cleanliness, top food and climate. This brings the total today to 1,092 – making it harder than ever before to complete this impossible list! This entry was posted in 2018, Singapore and tagged asia, food, nature, Singapore, travel, UNESCO, wildlife, world heritage site on 2 July, 2018 by Tom Livesey.